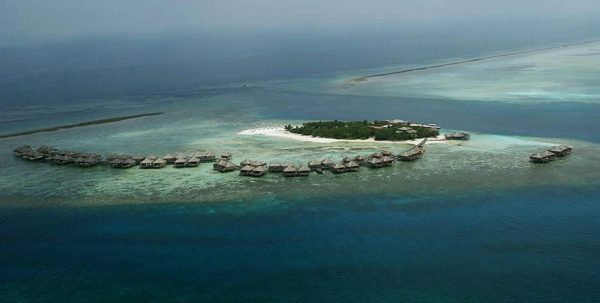 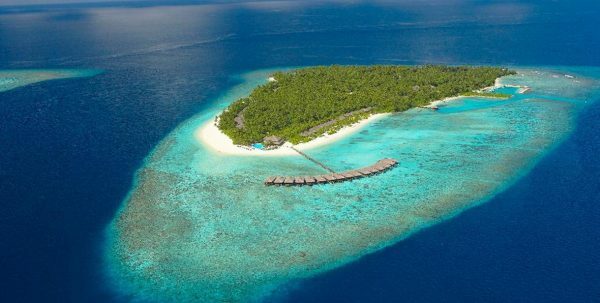 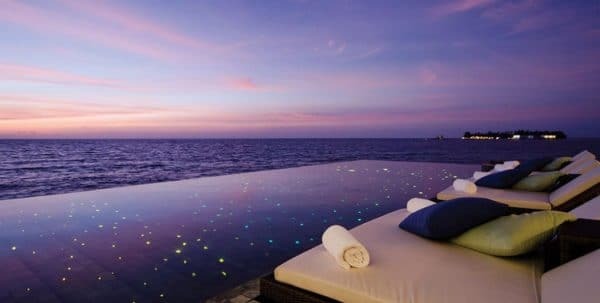 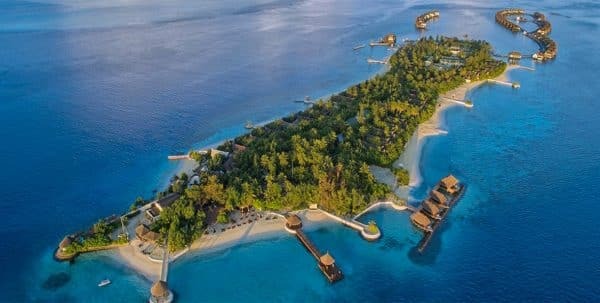 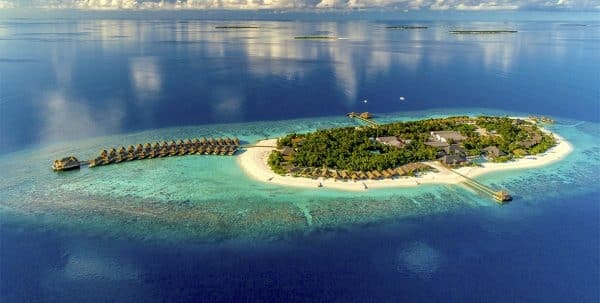 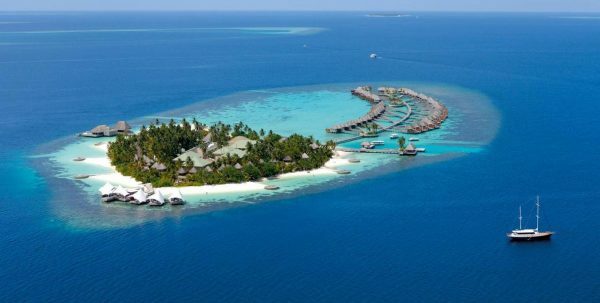 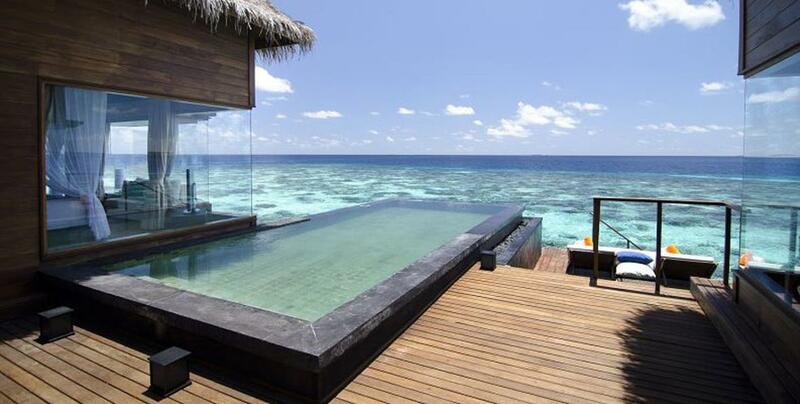 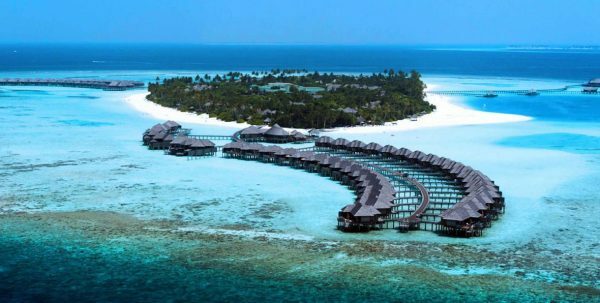 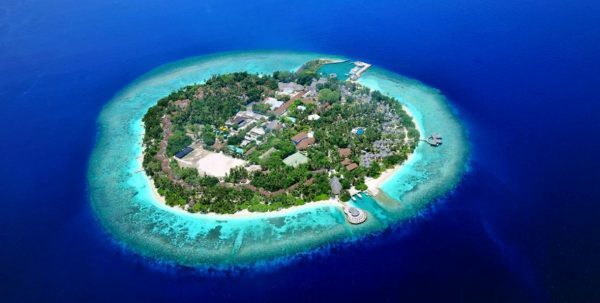 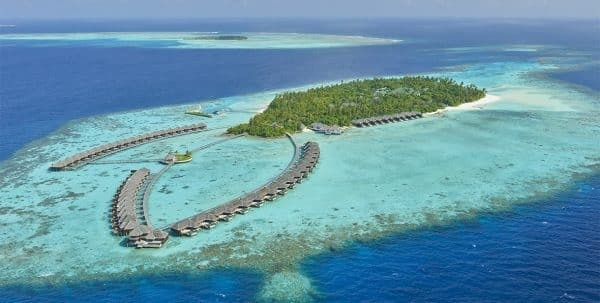 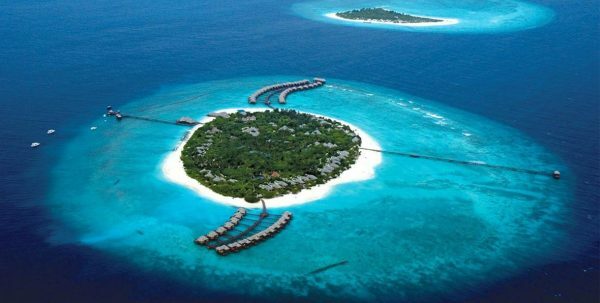 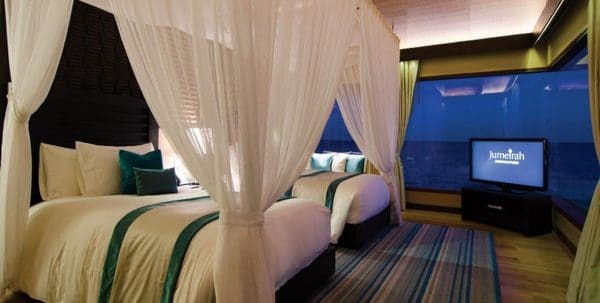 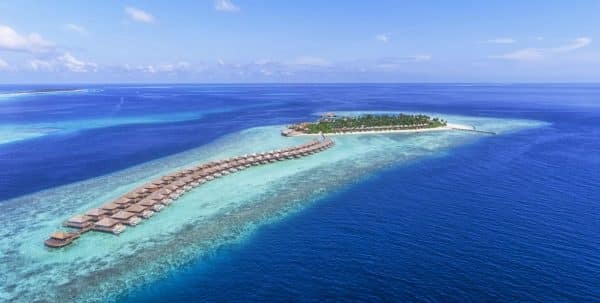 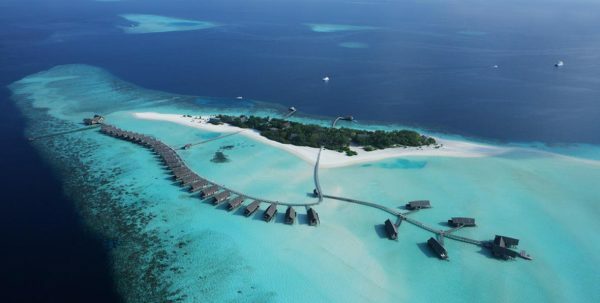 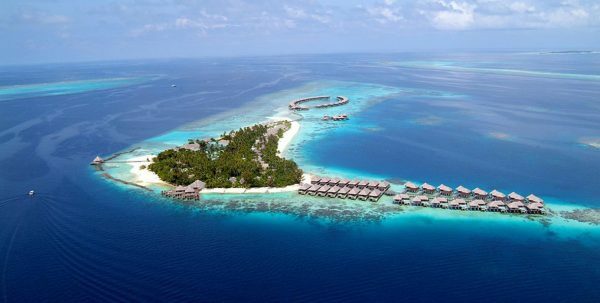 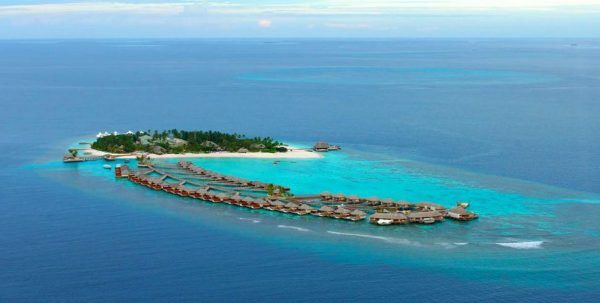 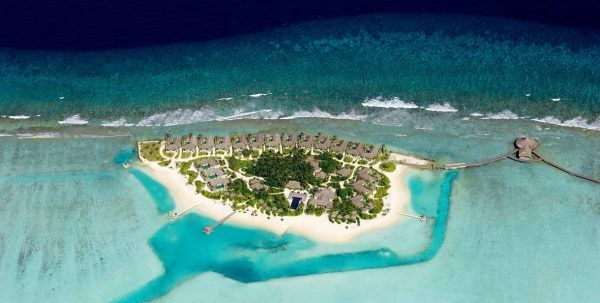 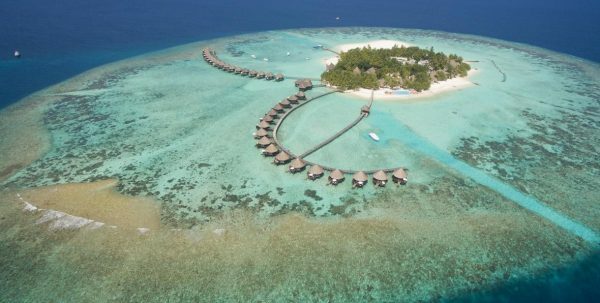 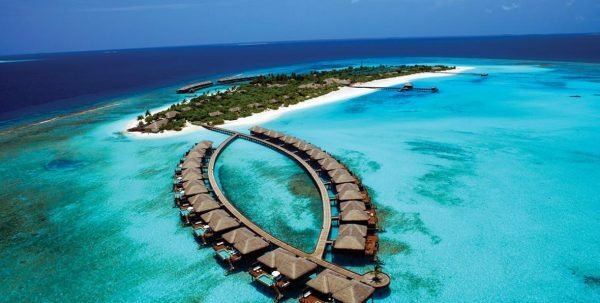 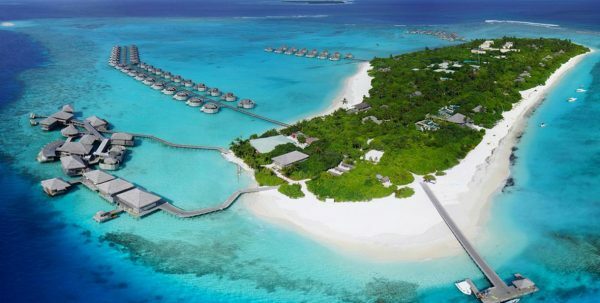 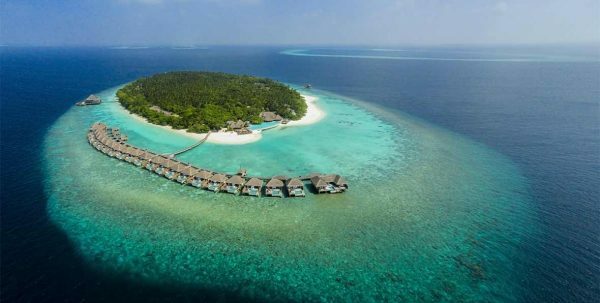 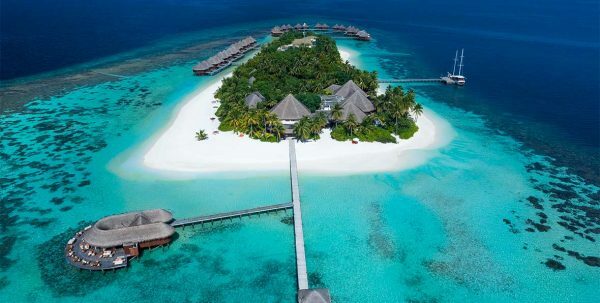 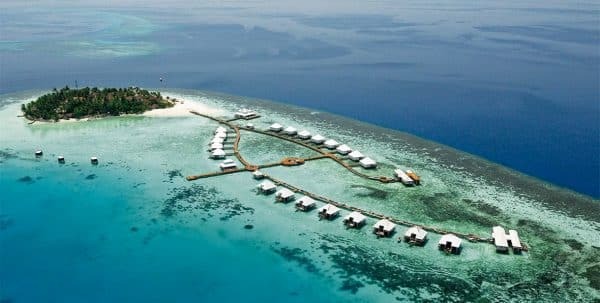 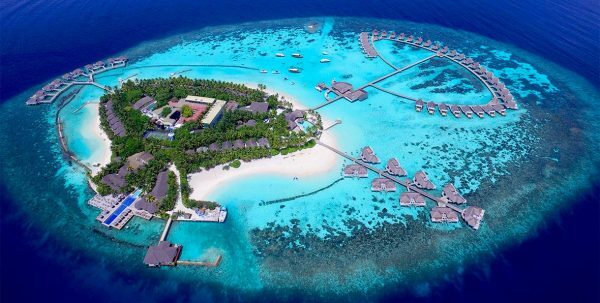 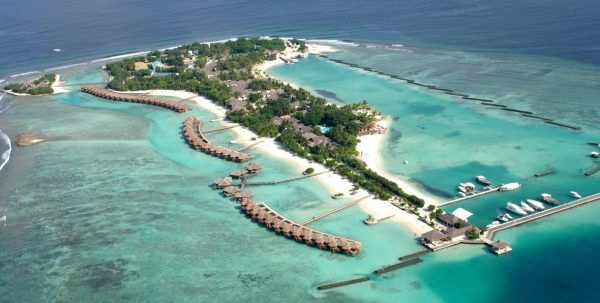 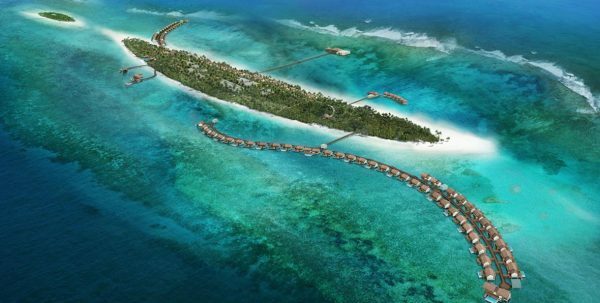 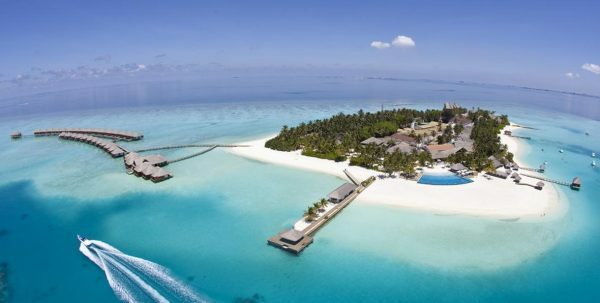 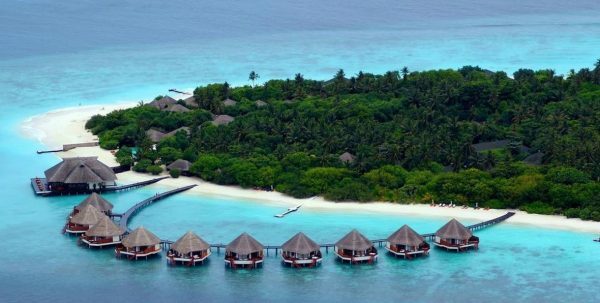 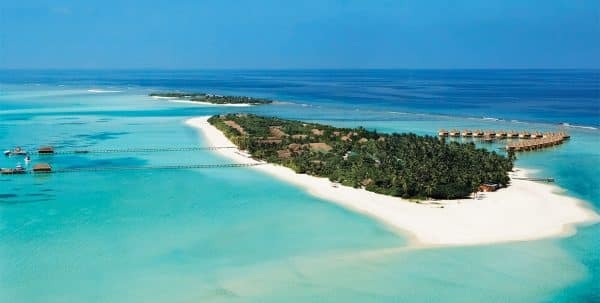 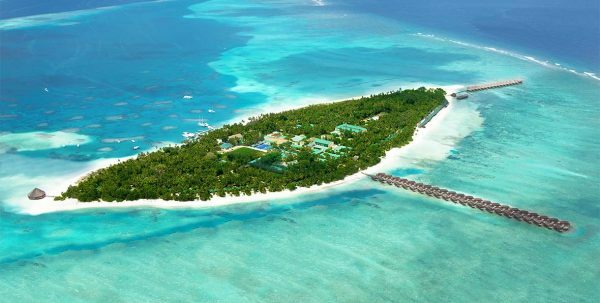 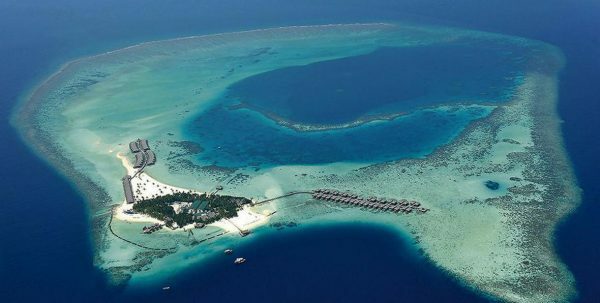 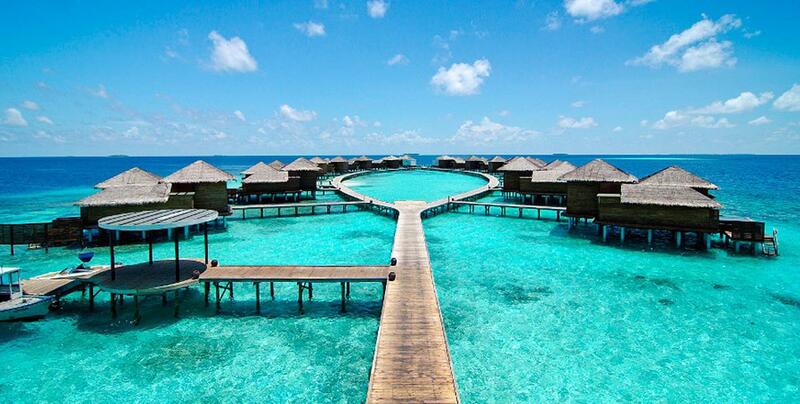 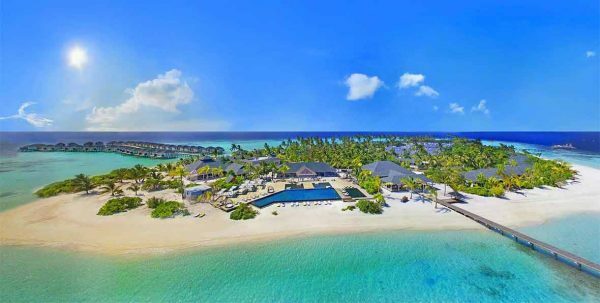 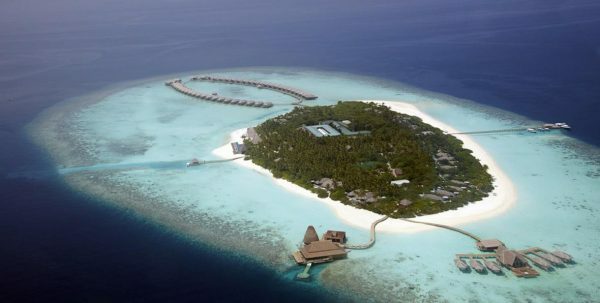 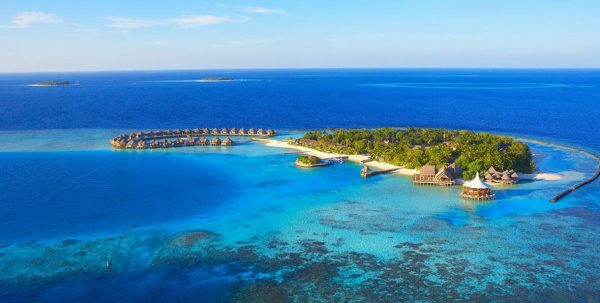 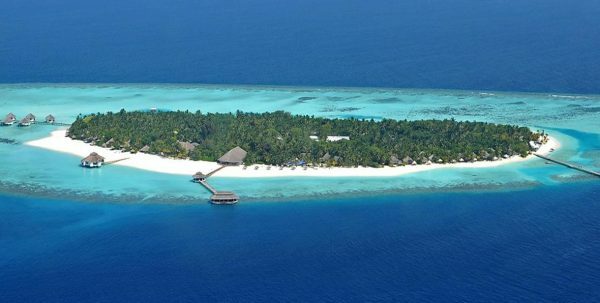 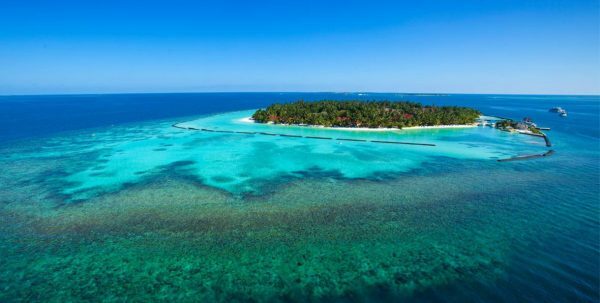 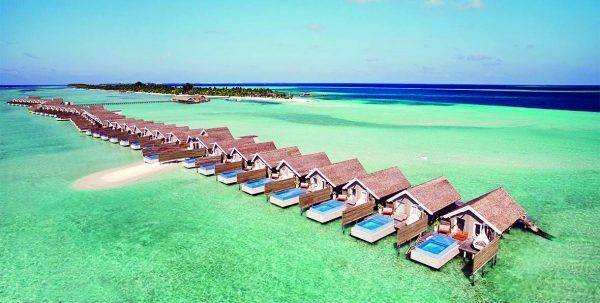 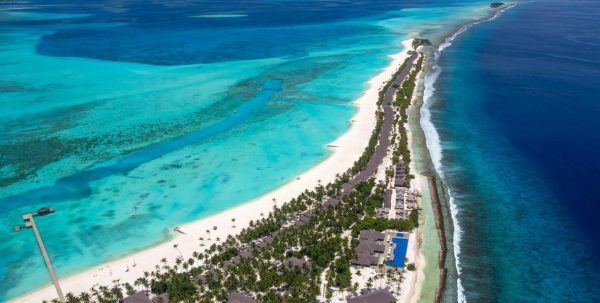 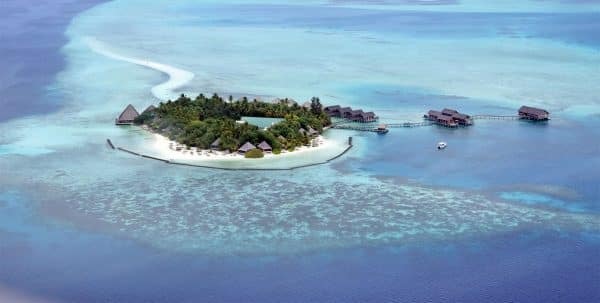 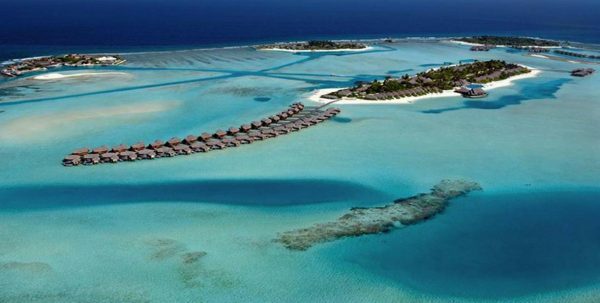 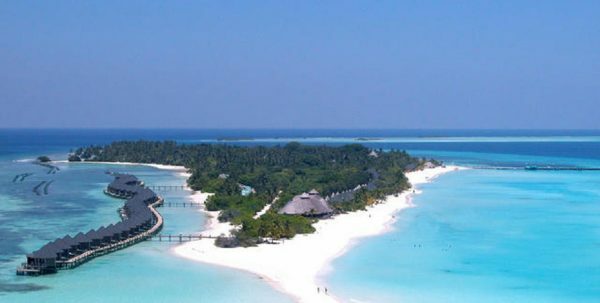 Tucked away in the extreme south of Maldives to 400 km from the capital, is the lovely and sublime Jumeirah Dhevanafushi. 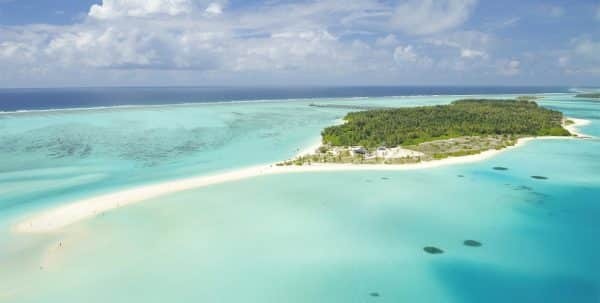 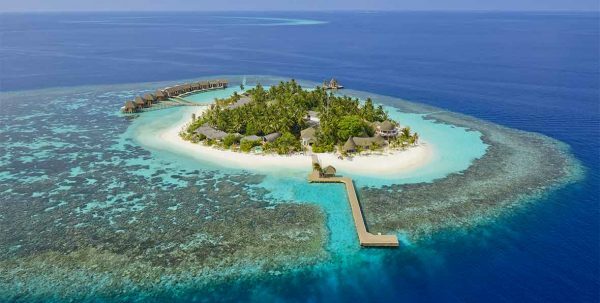 A resort of luxury with beautifully decorated spaces, each impressive this island villa has its own private pool and day beds, either on the beach or in the lagoon, as well as impeccable service with private Butler and personal cook. 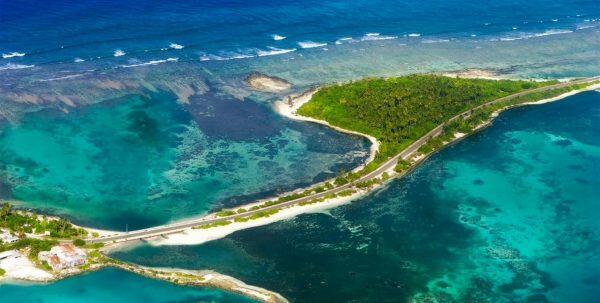 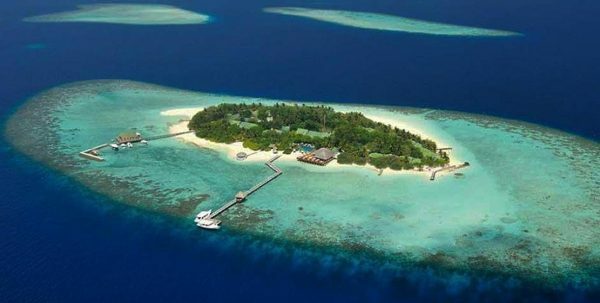 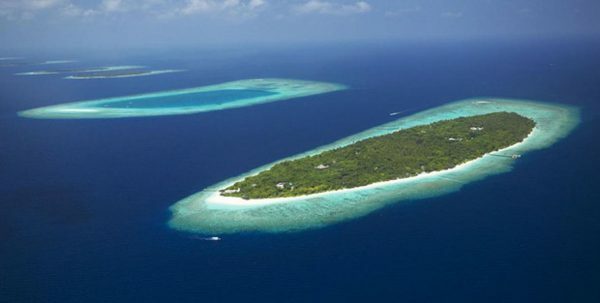 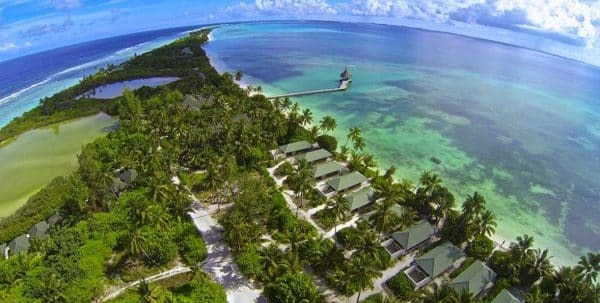 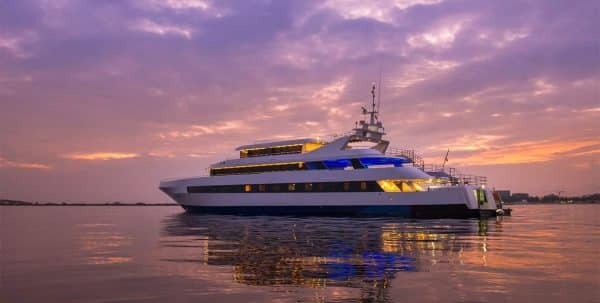 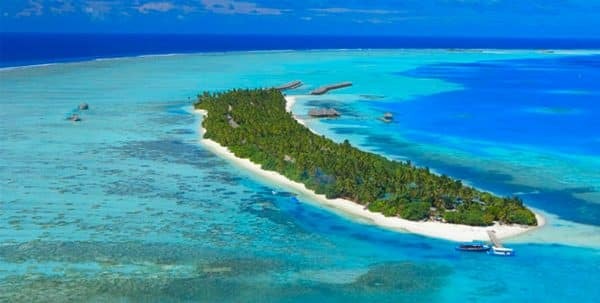 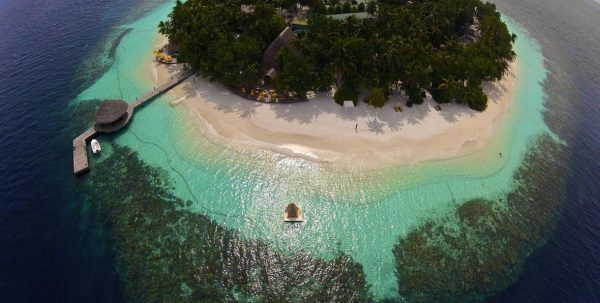 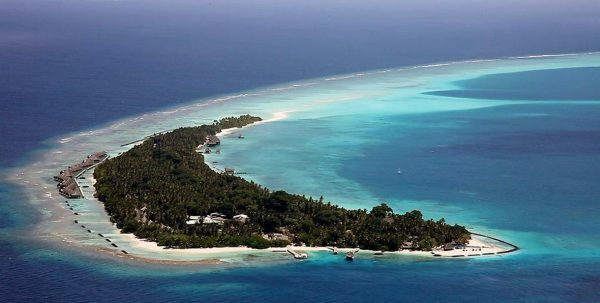 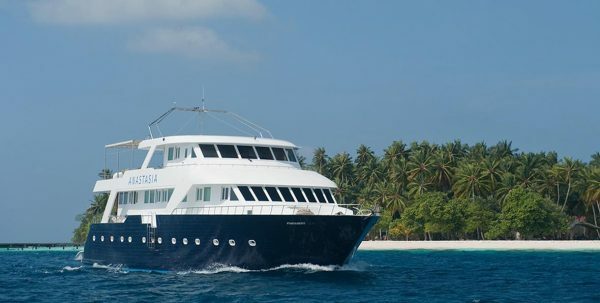 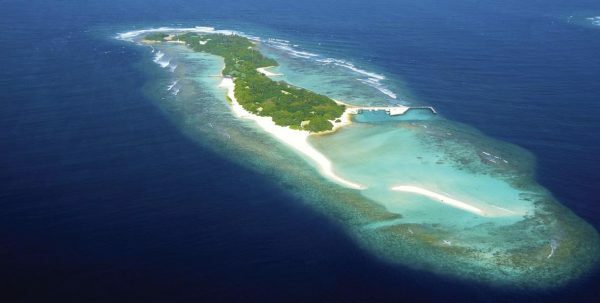 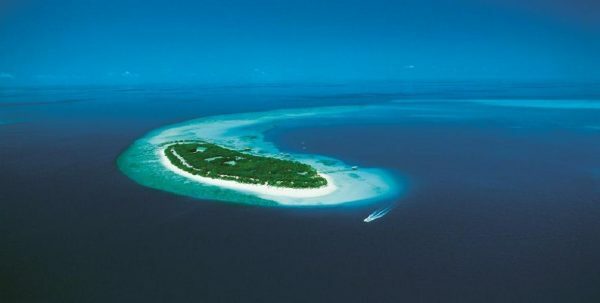 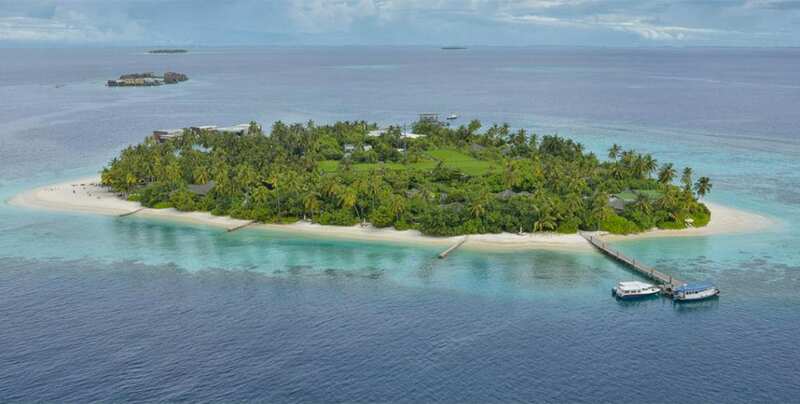 Abundant and lush foliage, this secret hideaway offers magnificent views, pristine beaches and some of the most peculiar, largest and most beautiful corals in the world.Located in Gaafu Alifu atoll the access to the island is via a domestic flight of 1 hour of duration and 15 minutes by speedboat. 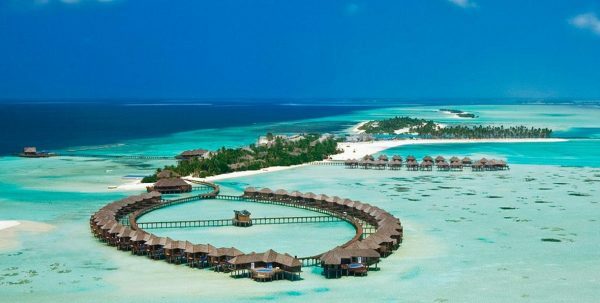 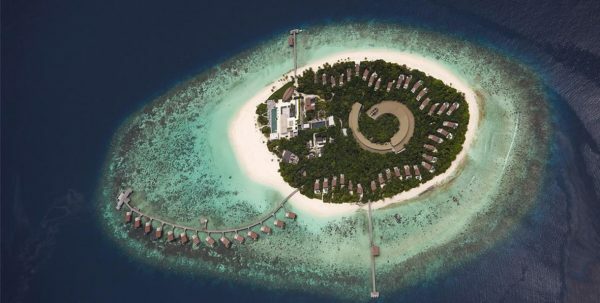 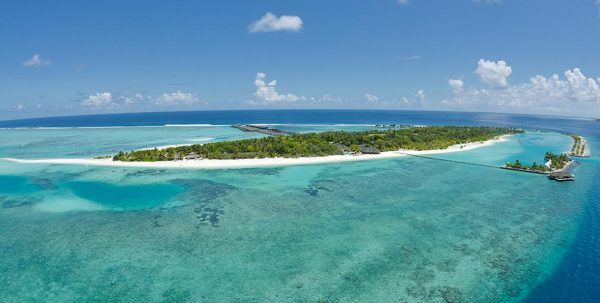 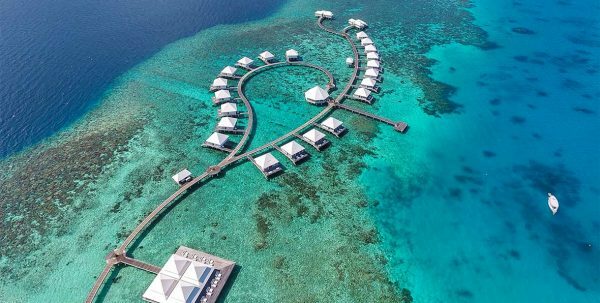 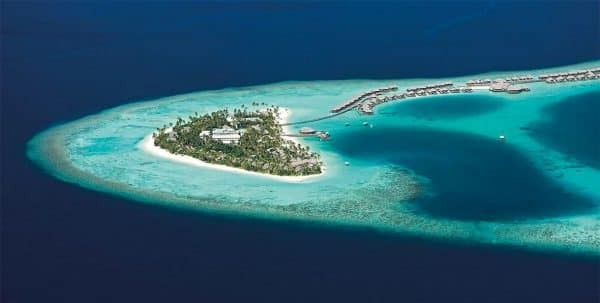 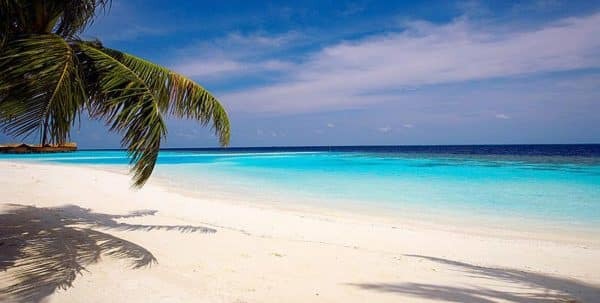 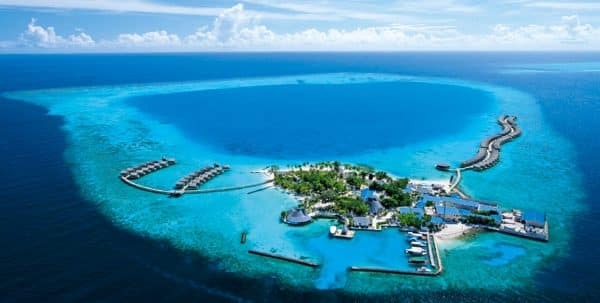 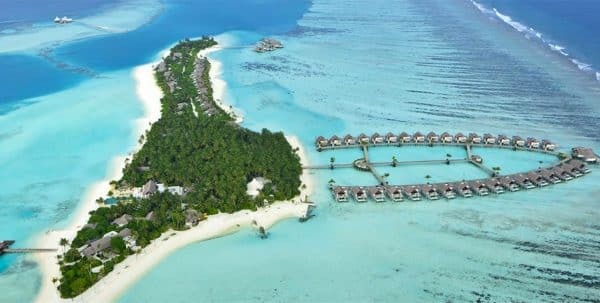 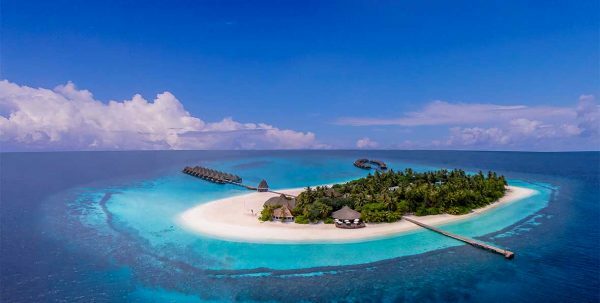 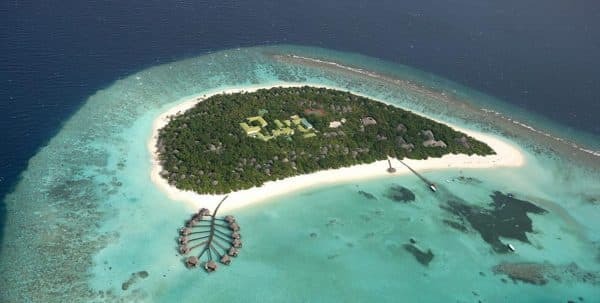 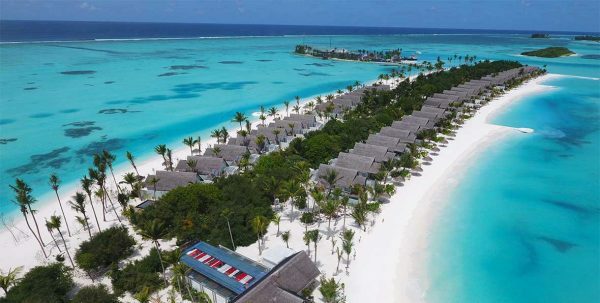 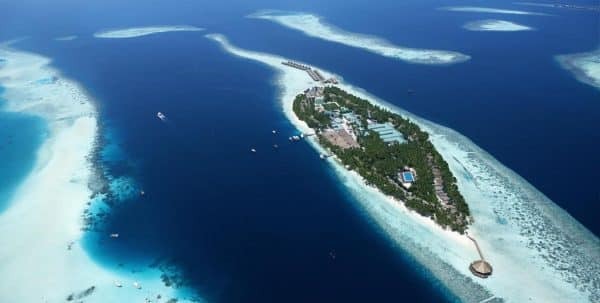 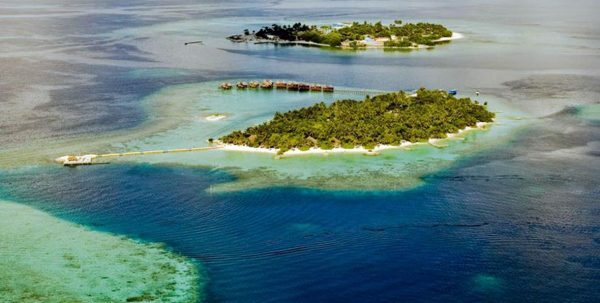 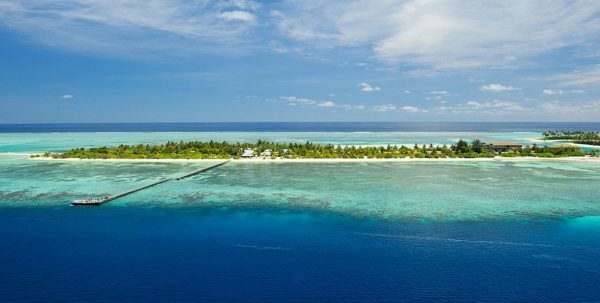 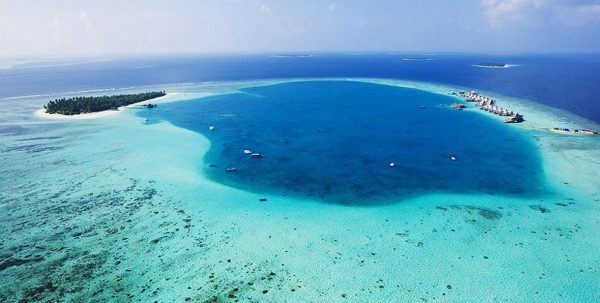 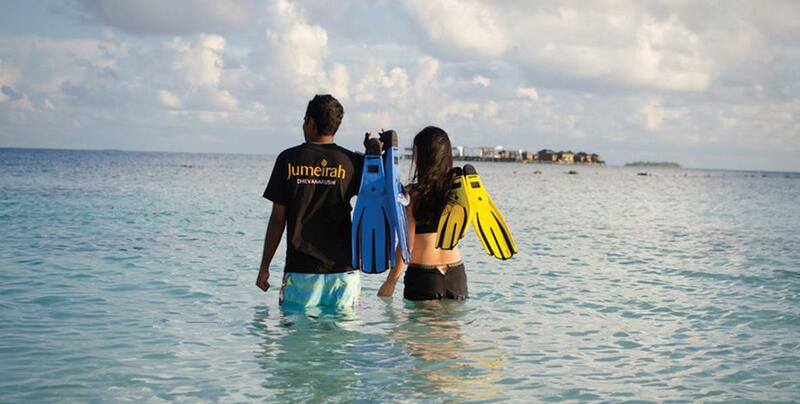 In Jumeirah Dhevanafushi visitors were experiencing, away from the pressures of modern life, the fascinating beauty of a secret place to meet all your desires. 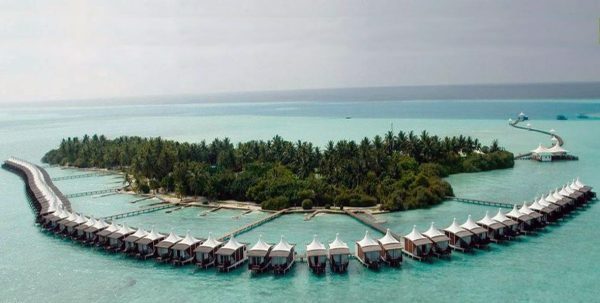 Its villas With only 40 rooms on the island, of which 16 is built over the lagoon, 800 metres from the island completely self-reliant and integrated nevertheless complex in general, ensuring absolute privacy to its guests. 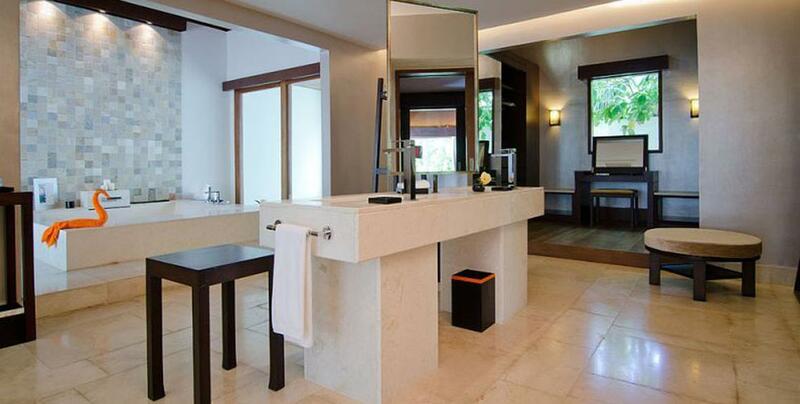 38 residential luxury suites, very spacious. 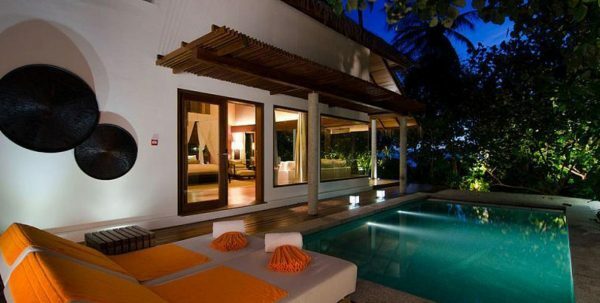 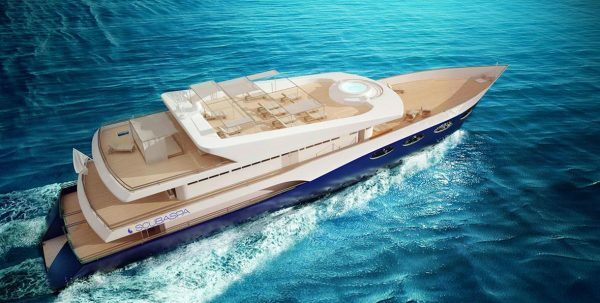 There are two main types of residence, Revives and Sanctuary, each giving the option of breathtaking views of the island and the ocean. 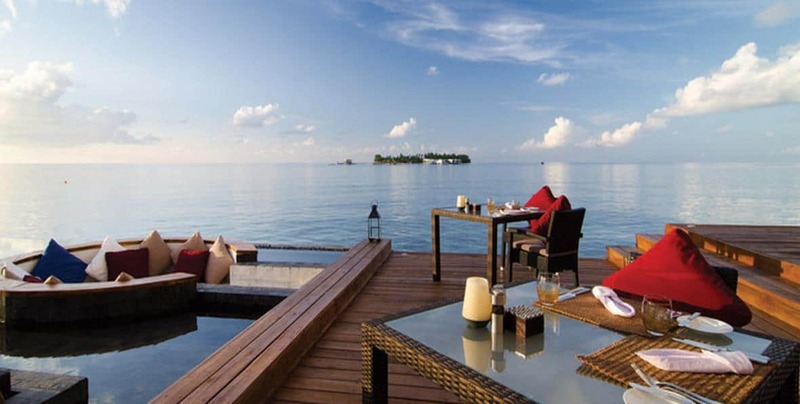 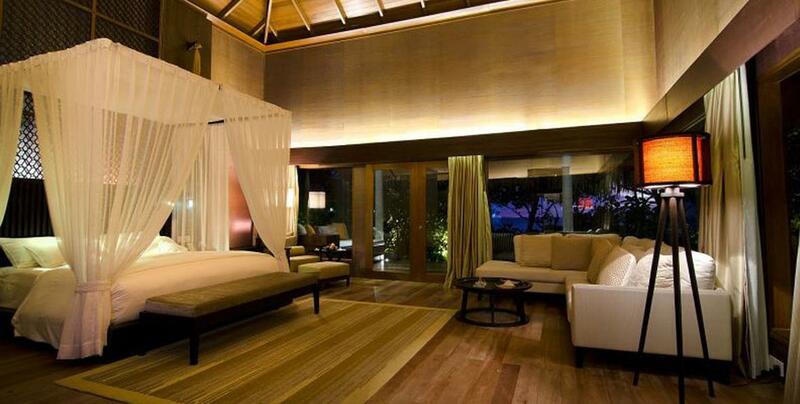 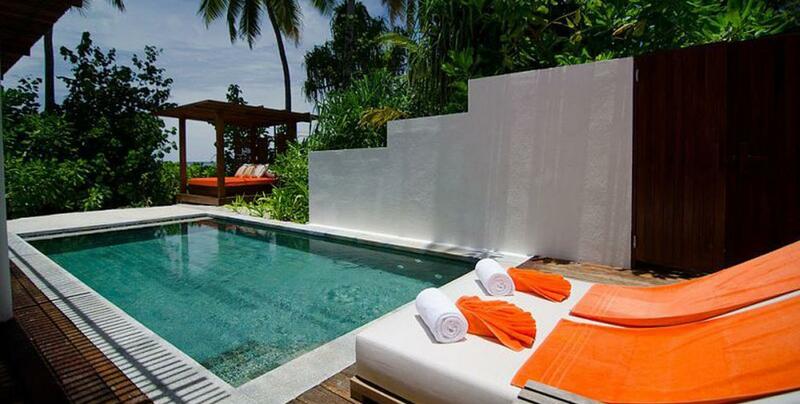 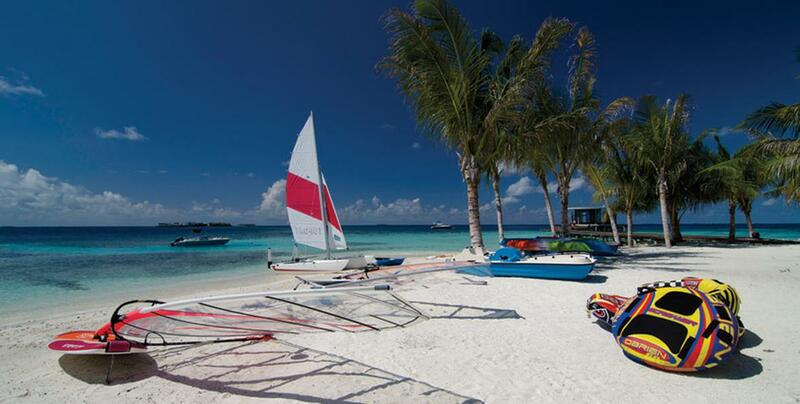 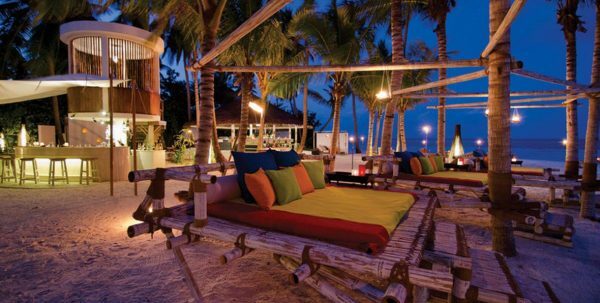 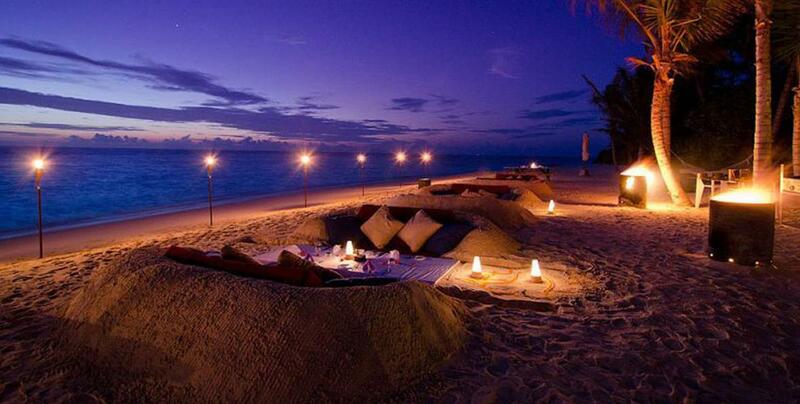 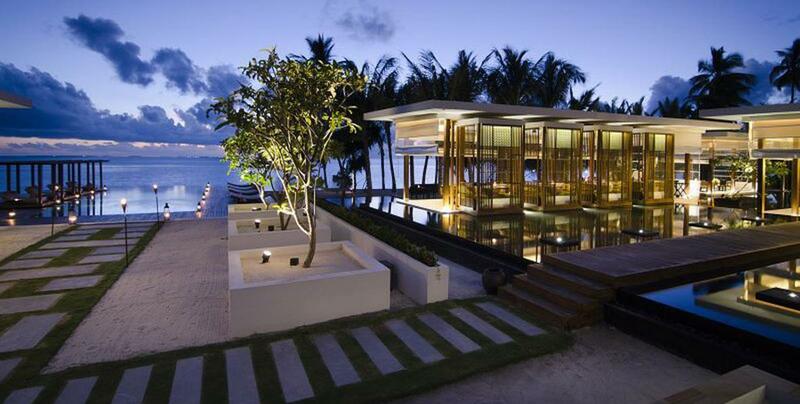 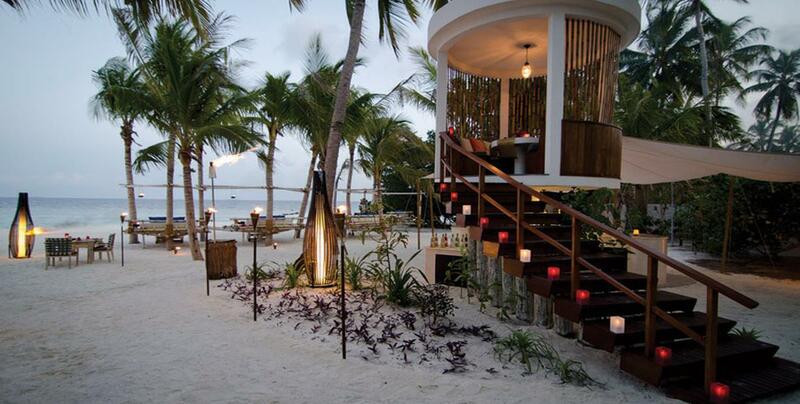 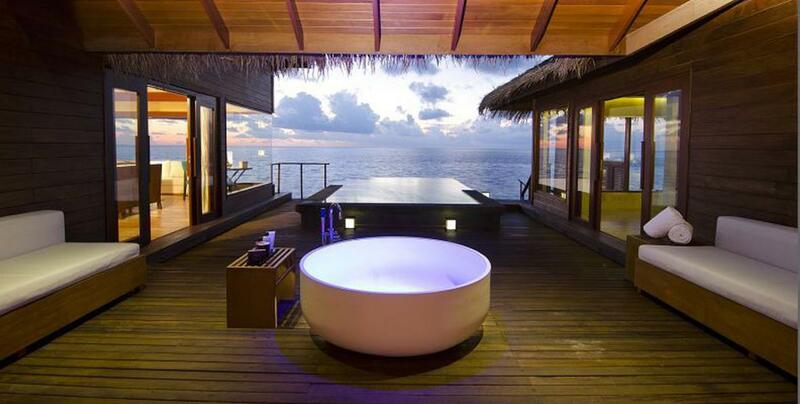 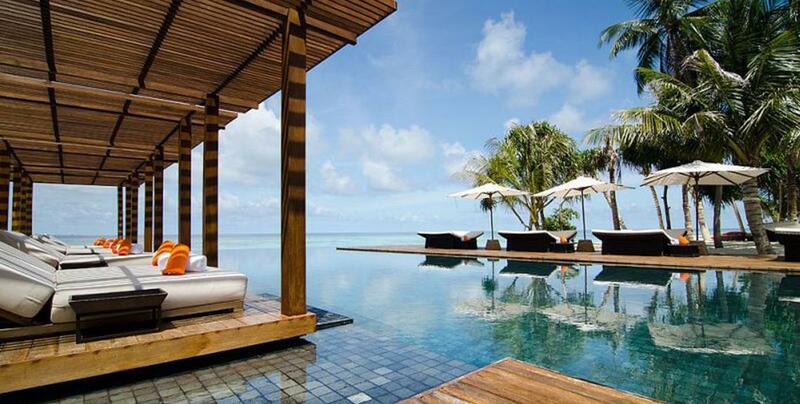 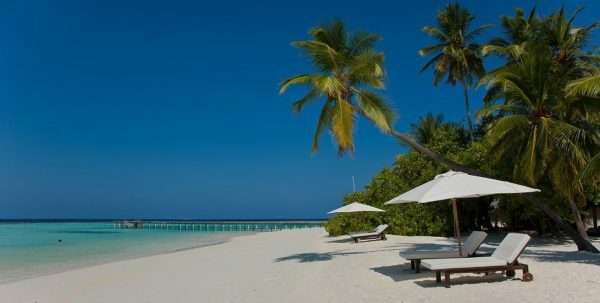 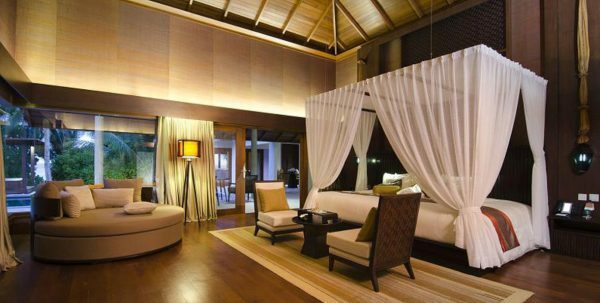 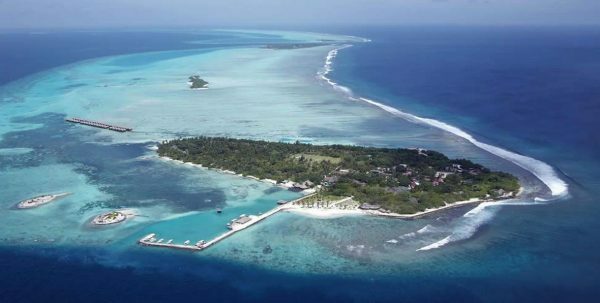 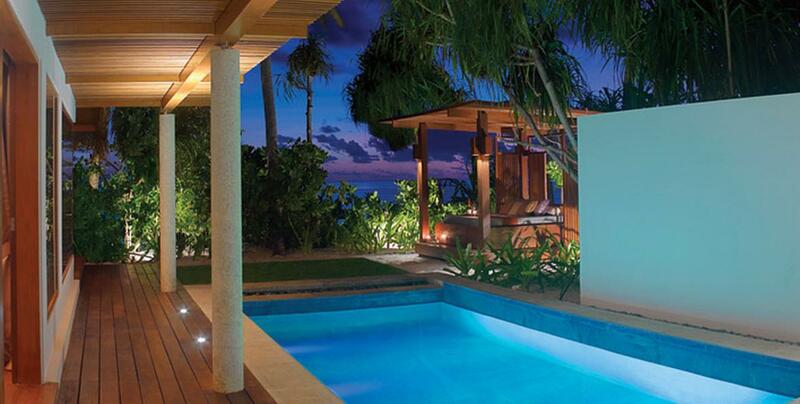 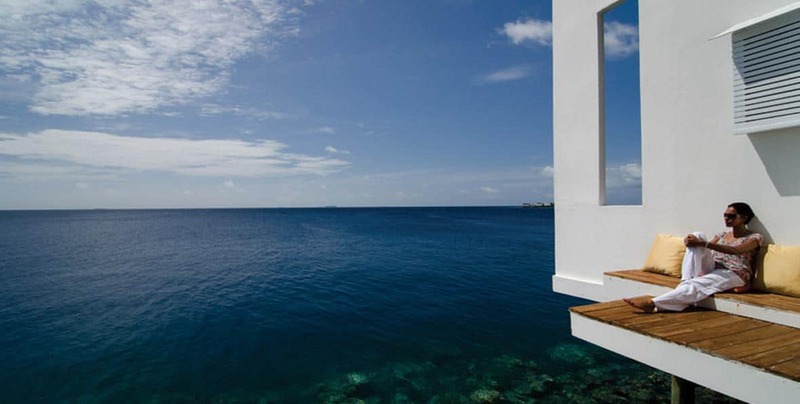 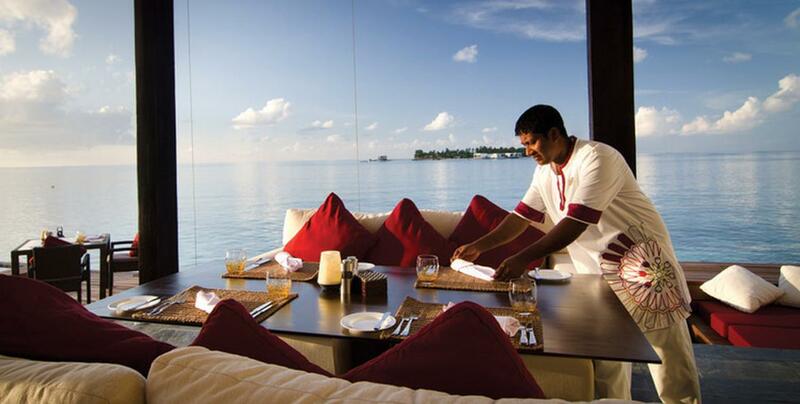 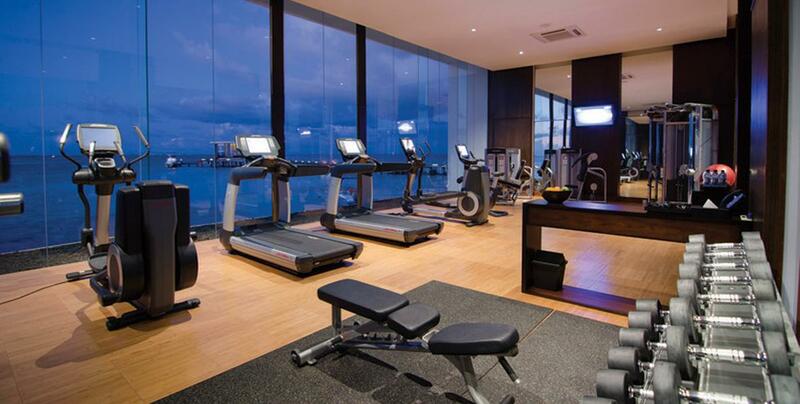 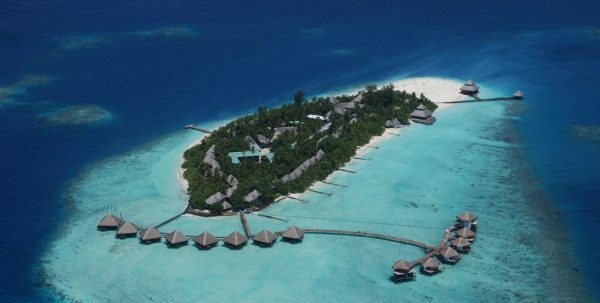 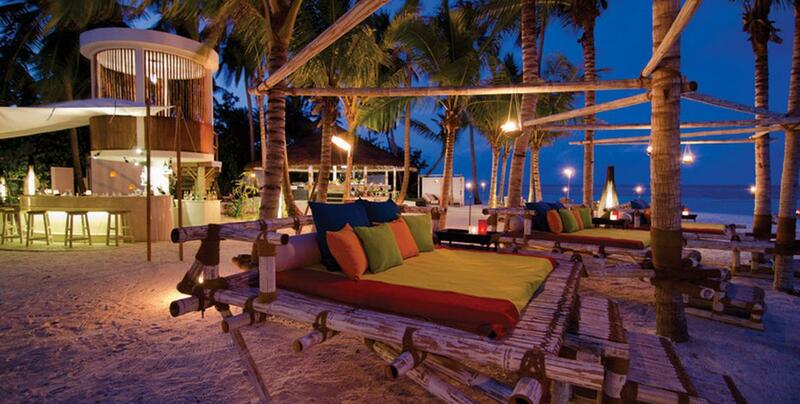 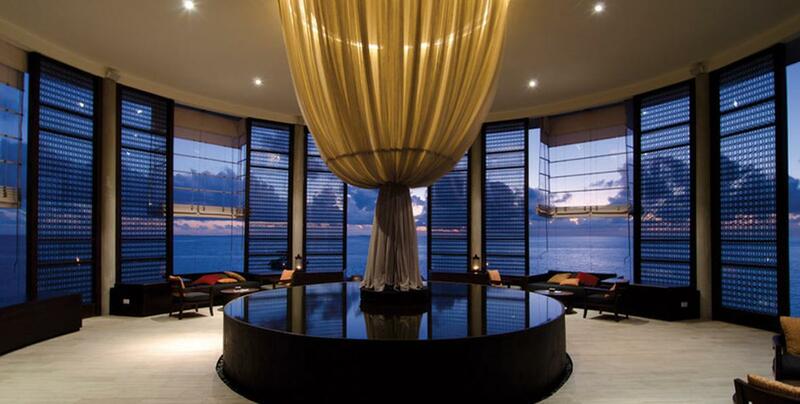 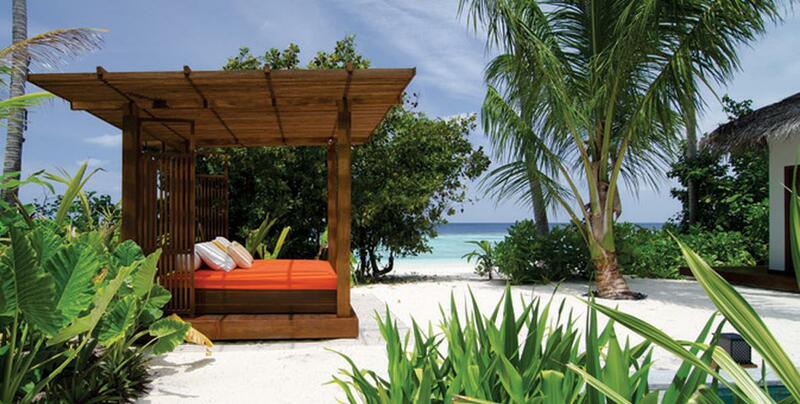 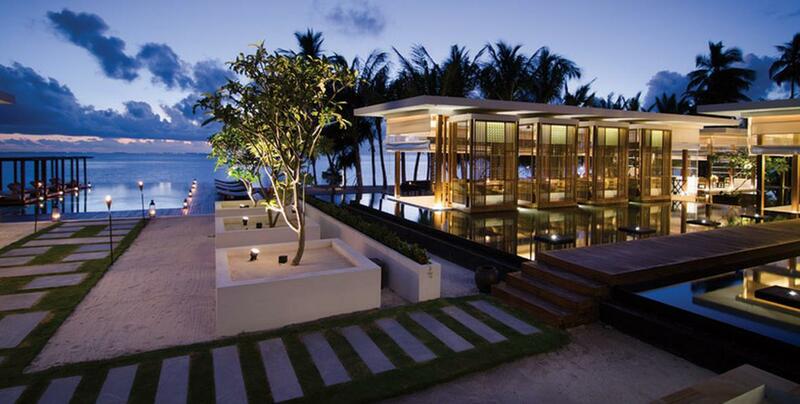 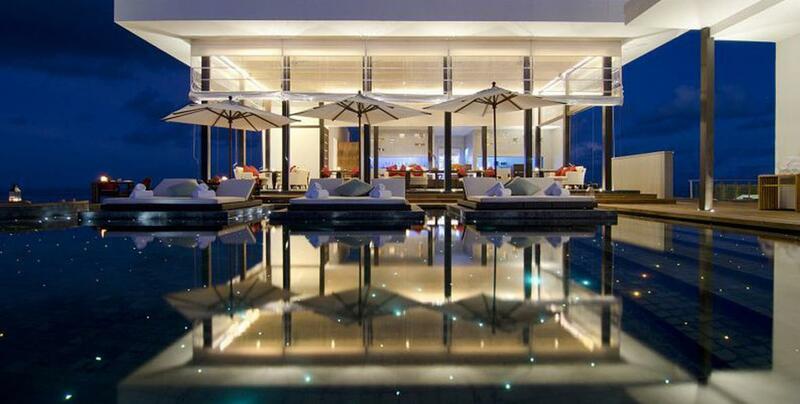 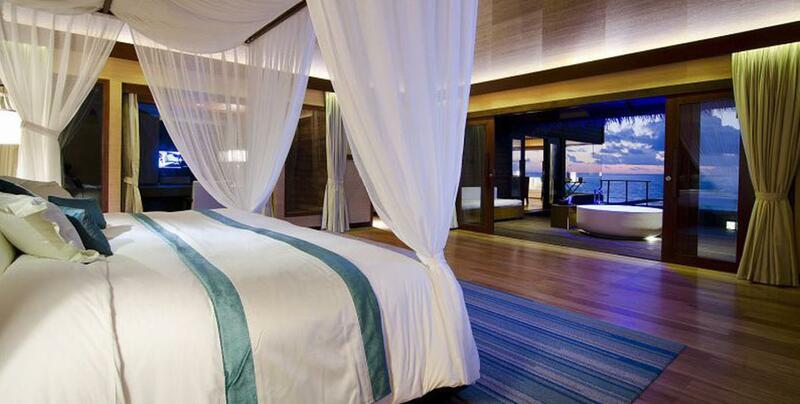 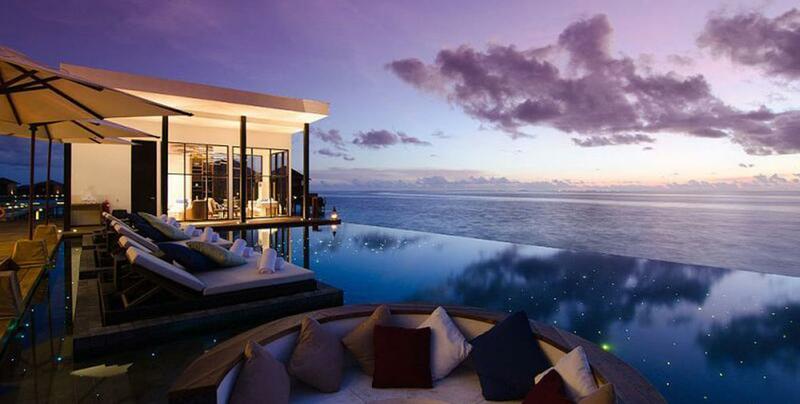 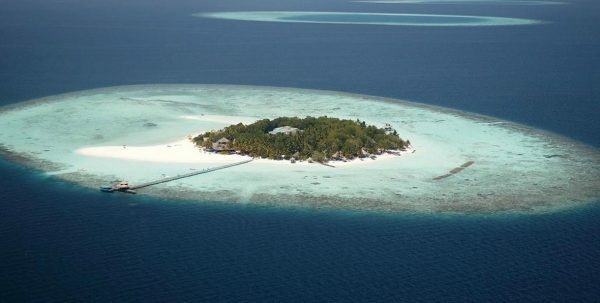 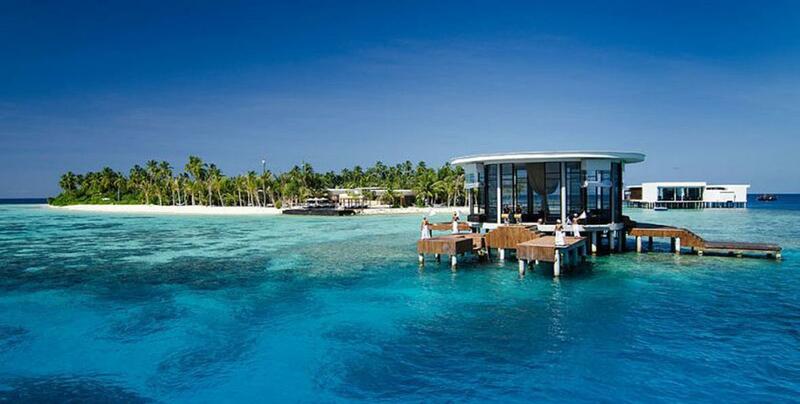 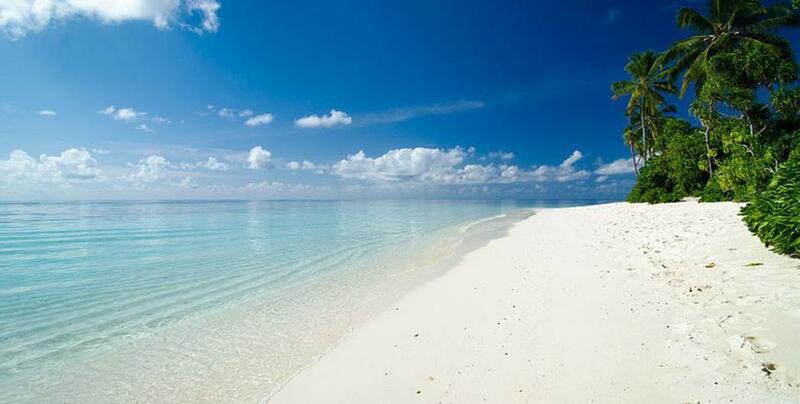 Jumeirah Dhevanafushi has 3 outstanding restaurants and a cosy bar. 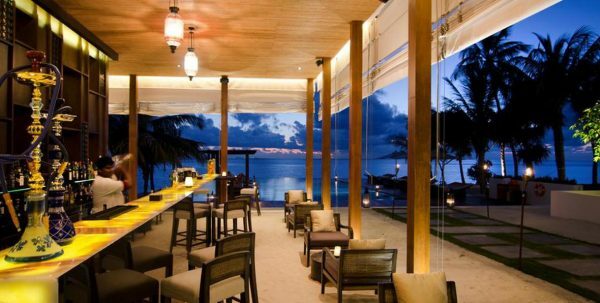 In addition to an excellent cuisine in each of its restaurants, the island offers a chef personalized on request, configuring menus customized to suit each client. 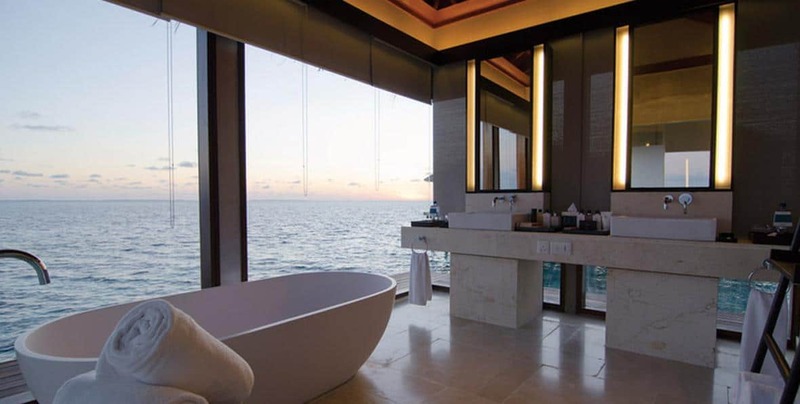 Highlights in Jumeirah in Spa Talise treatments philosophy, built on the lagoon, whose specialists to understand the development of positive health and quality of life, and light to customers on how to maintain the balance between the physical, mental and spiritual well-being. 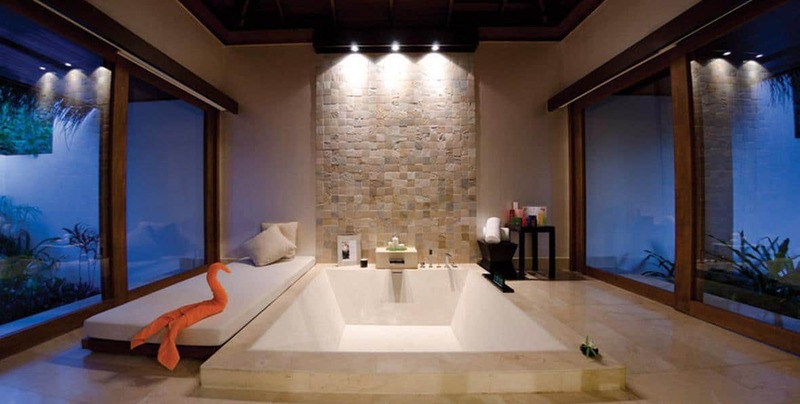 The range of individual treatments made use of traditional and alternative therapies with specialized masseurs to help achieve the true potential of each customer making you feel in absolute harmony with their inner self. 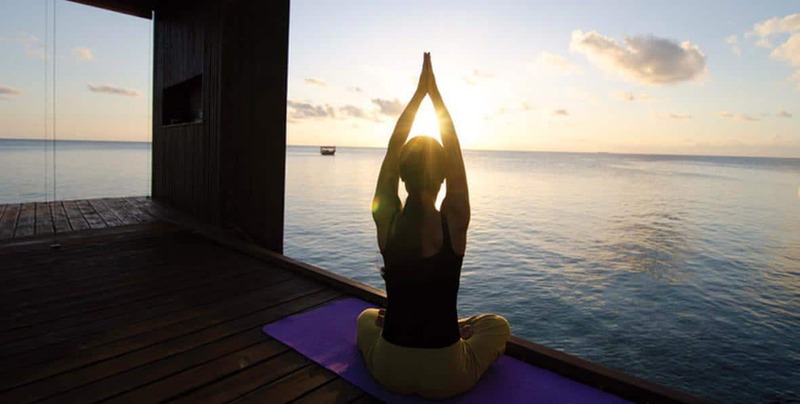 Talise Spa specializes in couples treatment rooms and is located in a luxury environment, including a platform of yoga on the water and a pier from where you can sit and enjoy the stunning sunset.